$19.95 at Amazon.com 363 pages. Published May, 2015. 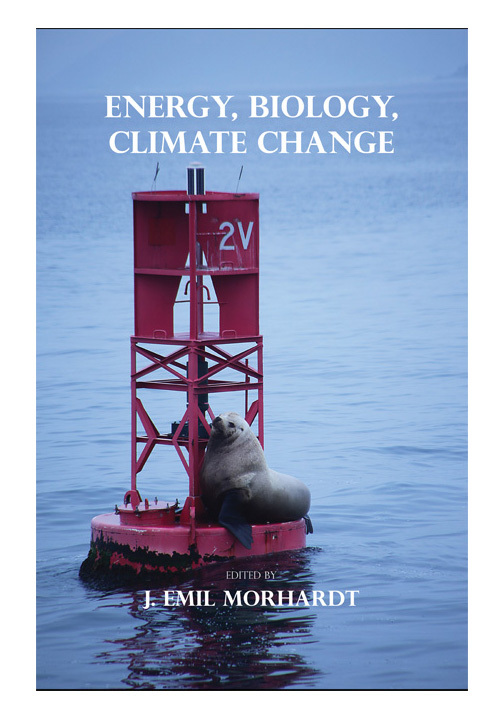 The focus of this book is the interactions between energy, ecology, and climate change, as well as a few of the responses of humanity to these interactions. It is a series of chapters discussing subtopics in which the authors were interested and wished to write about. The basic material is cutting-edge science; technical journal articles published within the last year, selected for their relevance and interest. Each author selected eight technical papers representing his or her view of the most interesting current research in the field, and wrote summaries of them in a journalistic style that is free of scientific jargon and understandable by lay readers. This is the sort of science writing that you might encounter in the New York Times, but concentrated in a way intended to give as broad an overview of the chapter topics as possible. None of this research will appear in textbooks for a few years, so there are not many ways that readers without access to a university library can get access to this information. This book is intended be browsed—choose a chapter topic you like and read the individual sections in any order; each is intended to be largely stand-alone. Reading all of them will give you considerable insight into what climate scientists concerned with energy, ecology, and human effects are up to, and the challenges they face in understanding one of the most disruptive—if not very rapid—event in human history; anthropogenic climate change.